Lock in a great price for Best Western Walton Park Hotel - rated 8 by recent guests. Character of the building and cliff top position. Staff helpful and friendly, food excellent. Plenty of parking space. 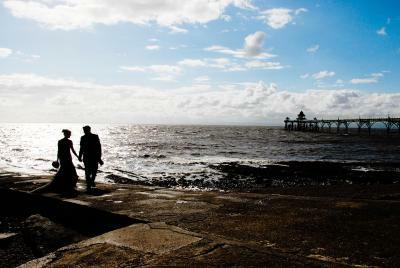 Clevedon a nice surprise. Staff were all excellent - very helpful, friendly and efficient. The restaurant food for evening meal was a little disappointing - food wasn't very hot, and vegetables and duck a bit overdone. 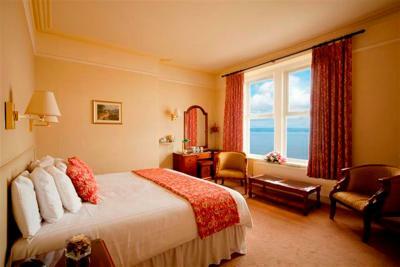 Rooms were large, clean, airy and had wonderful views. The staff were excellent and put themselves out to make the stay perfect. The breakfast was very good. The situation with a view over the sea was great. 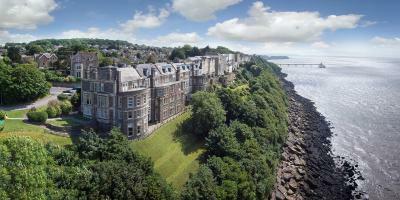 Great location and have been looked after on a number of stays before. Flexibility, made omelets even though not on menu. Staff very friendly, approachable and accommodating. The room was lovely and clean. The view was lovely. Staff friendly. Large light room, very comfortable bed. Staff very helpful. Only stayed 1 night, but enjoyed it, comfy bed, good shower, nice bar, fantastic views, excellent evening food and really nice breakfast. 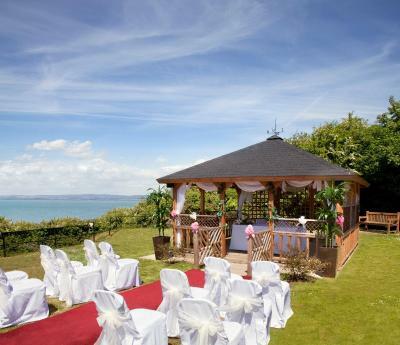 One of our top picks in Clevedon.B/W Walton Park Hotel has a stunning cliff-top location, overlooking the Severn Estuary and Welsh Hills. 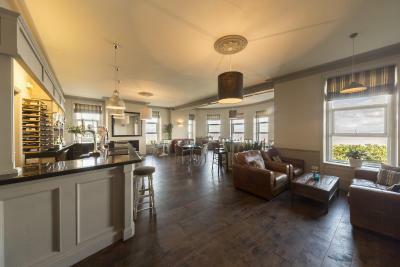 It has spacious bedrooms, free private parking and free WiFi throughout. 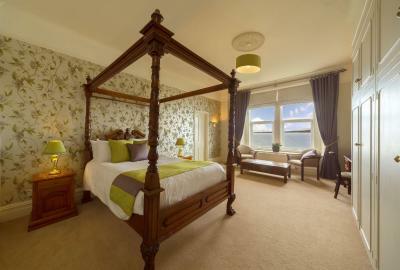 B/W Walton Park Hotel has elegant bedrooms, many with views over the Estuary or four-poster beds. There is 24-hour room service. The award-winning Somerset Restaurant has a menu of local produce. The Wessex Bar offers a range of home-cooked dishes. 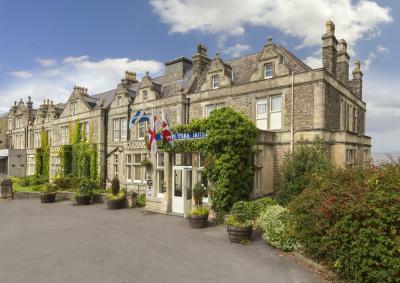 Originally built in the late 19th century, B/W Walton Park Hotel has original period features, large gardens and a cocktail bar. Bristol city centre is 12 miles away. Best Western Walton Park Hotel has been welcoming Booking.com guests since 18 Aug 2005. 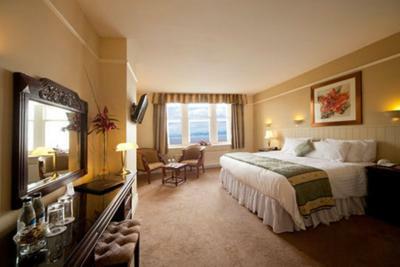 When would you like to stay at Best Western Walton Park Hotel? 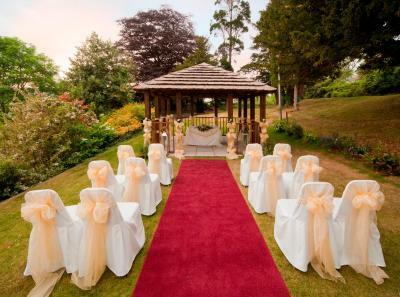 The BEST WESTERN Walton Park occupies a stunning cliff top location and is charmingly nestled in two acres of landscaped gardens overlooking the Severn Estuary and Welsh Hills. 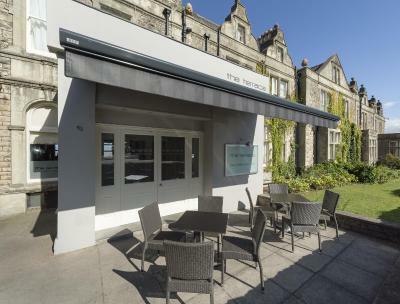 Originally built in the late 19th century, the Walton Park has been sympathetically restored and has now developed into Clevedon's Premier Hotel. House rules Best Western Walton Park Hotel takes special requests - add in the next step! Best Western Walton Park Hotel accepts these cards and reserves the right to temporarily hold an amount prior to arrival. Breakfast is GBP 10 per person if booked in advance. If booked on the day, breakfast is GBP 12 per person. Guests should kindly note that payment will be taken upon arrival. 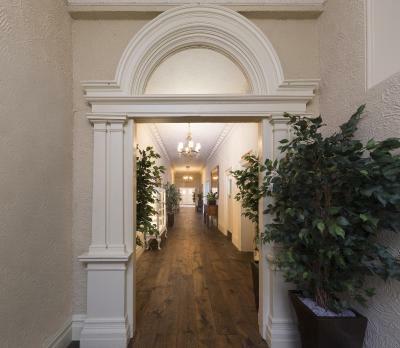 Please note: The guestrooms are located over three floors with lift and staircase access to all floors, assistance is always readily available. The hotel is a popular venue for weddings and events over the weekends and occasional weekdays and has music until late that may affect some of our guest rooms. During such events the public bars and other public areas may be busy. Should you have any concerns please contact the hotel for further information. Cleanliness of room, dirty tissue and earplug on floor, dust everywhere, windows dirty, curtains did not fully close, scuff marks on the wall, bathroom door did not lock, poor quality toilet tissue. TV control buttons functions reversed up and down channel actually was the volume and vice versa. Creaking floorboards in room above disturbed our sleep. Hot breakfast rather meagre. Coffee and hot chocolate poor quality. Comfortable bed, efficient reception staff. For the elderly lack of grip handles in baths and wc's. We did not find a disable toilet even near the bar and restaurant. Staff were moving chairs around noisily in the meeting room right underneath my room at 5am in the morning. Why they had to set up so early I do not know, but it woke me up and I was unable to get back to sleep as the noise carried on until 6am. Bad smells from the drains on the first floor, covered up by excessive use of air freshener. Bathroom had seen better days. For my elderly mother the stairs to the wedding room and back up were a bit difficult. We were not aware of this. If told we could have got her down there a bit earlier instead of holding everyone up. The same with my niece and her pram. Non existent shelf/storage in bathroom. Toilet seat cover would be nice. Larger shelf for kettle/tea making equipment. Breakfast buffet good but a little expensive. Shabby looking hotel with dilapidated corridors and unappealing rooms. The furniture was old and shoddy. The room was beautifully decorated, clean and very comfortable. 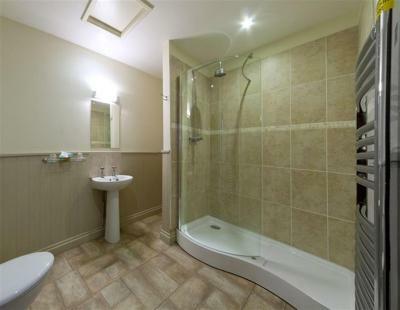 Bathroom clean and looked newly decorated. Everything was as we would expect. We were dining out with friends, but we did check the menu at the hotel and would definitely eat there in future.